Throughout history there are countless examples of extraordinary figures that did not achieve the fame or acclaim that their talent deserved. For every William Shakespeare or David Bowie there is another, equally talented contemporary whose luck, circumstances or, indeed, social class connived to deny them success, to condemn them as historical footnotes and names in indexes. Jack Common was born on August 15th 1903 in modest Third Avenue, Heaton, Newcastle Upon Tyne. His father worked nearby as an engine driver, while his mother was a typical North-East, working class housewife. Common attended Chillingham Road School, and supplemented his basic formal education by cultivating a love of reading and writing in his spare time. Upon completing compulsory education, he attended Skerry’s College, where he gained secretarial skills in the hope of enhancing his inherently meager employment prospects. This stint in further education would later form the basis of his second novel, The Ampersand. In 1928, following a prolonged period of unemployment, Common departed his hometown for London in search of work ‘down’ South. 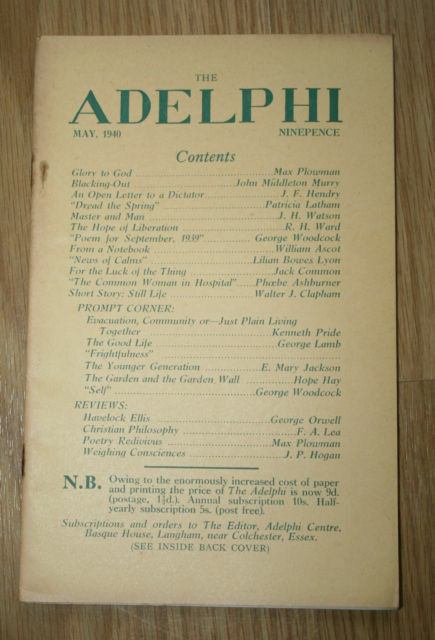 His early essays had been noticed and appreciated by John Middleton Murry, friend of D.H. Lawrence and former husband of the late Katherine Mansfield, who invited him to work for his literary journal, The Adelphi. Working initially as a circulation promoter, he was later promoted to Assistant Editor and, briefly in 1936, acting editor. He regularly contributed political essays to the publication, some of which would go on to form the basis of 1938’s The Freedom of the Streets. Whilst working at The Adelph, he became acquainted with a number of major literary figures, including E.M. Forster, Dylan Thomas and most notably, old Etonian and fellow contributing essayist, Eric Blair (A.K.A George Orwell). The two men nurtured an unlikely but long-lasting friendship, corresponding regularly. When Orwell moved temporarily to Morocco to aid his recovery from a life-threatening lung hemorrhage in 1938, Common and his family moved into his cottage in Wallington, looking after some of the livestock that would eventually inspire Animal Farm. Meanwhile, he took part in a number of wartime BBC radio broadcasts, including a lively debate, ‘What Matters?’, broadcast on 19 June 1942, which featured two opposing sets of speakers representing, roughly, suburbia and ‘the streets’. Common remarked: ‘I like a good argument’. 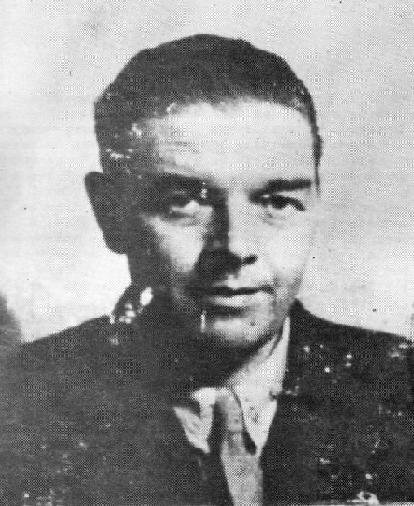 After the war he was engaged in writing film scripts including Good Neighbours (1946), about a community scheme in a Scottish town, and travelled to Newfoundland and Labrador on another film assignment. 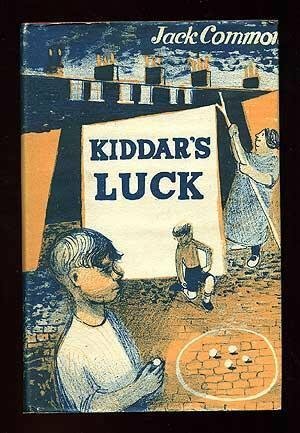 In 1951, Turnstile Press published Kiddar’s Luck, Jack Common’s debut novel. The book saw Common describe his upbringing in the streets of Heaton, beginning from his birth at home. It has since been recognised as a key text in the canon of 21st century working class literature, offering a rare glimpse into genuine working class life, retold autobiographically from an adult socialist’s perspective. Richard Kelly, writing in the Independent, described it as “a neglected masterpiece”, remarkable for its “linguistic mastery and insights into the lives of working people, free of illusions and false heroics”. Three years later, Kiddar’s Luck was followed by The Ampersand, which charted protagonist William Clarts’ efforts to secure work upon leaving school. According to Lyall Wilkes: “The Ampersand is in no way inferior to Kiddar. Indeed, while it preserves the comic genius of Kiddar, there is an undertone of ferocity as his growing awareness reveals the tragedies around him and tells him what his own life is likely to be”. Befitting of a career devoid of luck, Turnstile Press were liquidated in 1956, two years after the publication of The Ampersand. Neither book had been a commercial success, meaning Common’s final book in the Kiddar trilogy, Riches and Rare (set in Newcastle at the time of the general strike) unfortunately never saw the light of day. He subsequently spent time working as a guide to Chastleton House in the Cotswalds and living in Newport Pagnell, where he was able to devote time to working on books for film treatment reviews. A lifelong smoker, Common died of lung cancer on January 20 1968 at the age of 64. He left behind a mass of unpublished essays, fiction, poetry, diaries and letters, which are now stored in the Robinson Library at Newcastle University. Common’s legacy lives on through his influence on George Orwell, who had relatively few genuinely proletarian friends, and whose work must have been influenced to some degree by Common’s descriptions and analysis of working class life. In others ways, too, he remains influential today. 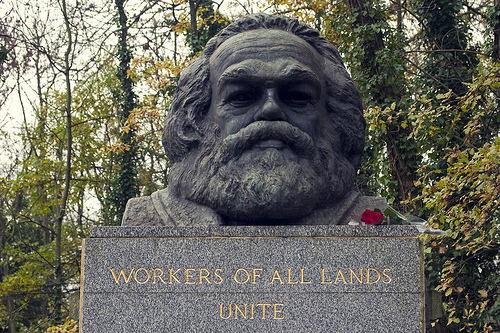 His brow may be seen in the face of Karl Marx’s bust in Highgate cemetery. Lawrence Bradshaw, the sculptor, said he perceived a similar patience and understanding in the faces of the two men. 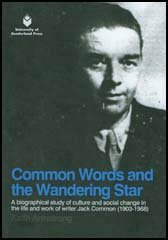 In 2009, North-East poet Dr Keith Armstrong published Common Words and the Wandering Star, a biographical study of culture and social change in the life of Jack Common, which sought to highlight the relevance of Common to the present day in terms of his ideas about class, community and the individual. In a post-2008 financial crisis era, in which austerity is widespread; demonisation of the working class has become habitual for politicians and the media; inequality is as deeply-ingrained as ever; state funding to the arts has evaporated; and the Left has run out of ideas, Jack Common’s writing is as relevant and necessary as ever.